Delivering all the benefits of our standard Rotoform system but on a very small scale, the Rotoform MI (Mini) is ideally suited to use in laboratory testing operations and within existing plants to define quality, production rates and other key parameters of products in the development stage. System capacity depends on the products being processed and can be up to 20 kg/h. Maximum melt temperature is 220 °C and products with viscosities from 10-5,000 mPas can be handled successfully. 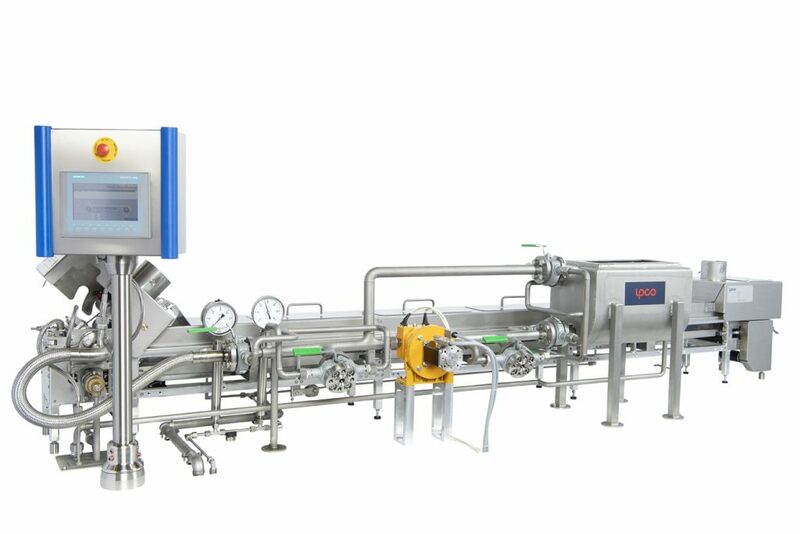 The Rotoform MI granulation system is based on a small scale steel belt cooler and matching Rotoform feeding device, consisting of a stator, metering bar, rotating shell, refeed bar and the drive. The melt is brought via compressed air or inert gas to the Rotoform MI system where a needle valve guarantees exact dosing onto the belt. As with all Rotoform systems, the feed and steel belt cooler are perfectly synchronized. Cooling is carried out by means of cold water sprayed onto the underside of the steel belt.